Australia & NZ Distributor of GKD Architectural Mesh. 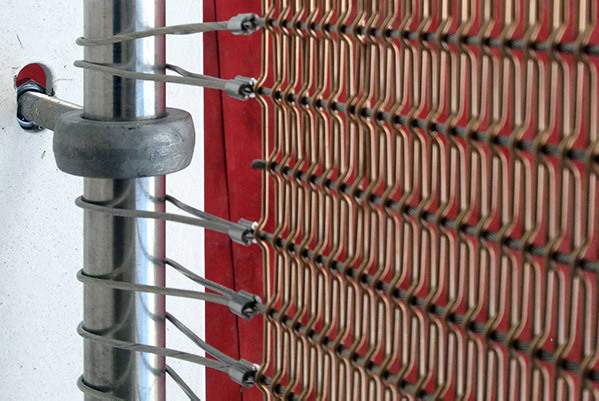 GKD manufactures archictural metal mesh for building facades, celings, safety systems and interior design. For over 20 years GKD architectural mesh has been uniting aesthetics and function in a wide range of architectural applications, whether with custom-manufactured wire meshes or with standardized mesh system components for building shell construction, interior design, and security systems. GKD is involved in outstanding architectural projects all over the world. Architects and planners benefit from our creative impulses and the technically high quality of our design mesh innovations – We give your ideas a distinctive face with metal fabrics up to 8m wide and customised length in stainless steel mesh or CMP mesh. 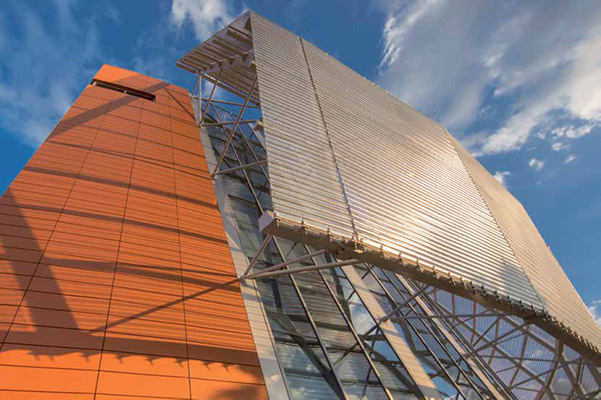 GKD metal fabrics are being used in more and more new architectural applications in the form of solar protection facades, acoustic ceilings, fall guard protection, wall cladding, room dividers, roller shutters, or elements of corporate architecture. Metal mesh used for architectural solutions in building facades, acoustic celings, roller doors, stairs & balustrades, room dividers and all types of interior design. 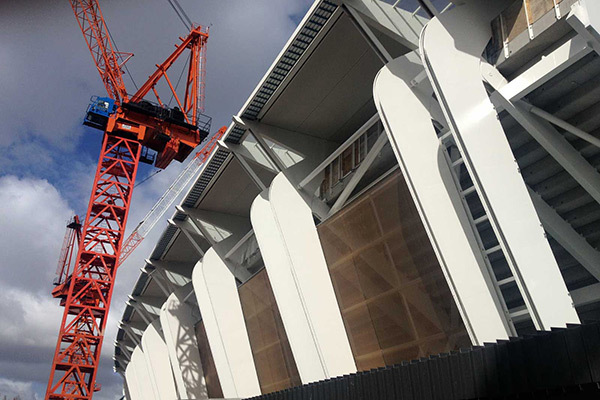 GKD have developed a number of fixing and fastening solutions for securing all types of GKD mesh on building facades, ceilings, stairs and wall cladding. This picture gallery gives you an insight into how GKD mesh is being used in a wide range of architectual applications and buildings across the globe. © GKD Australasia 2019. Operated by Augen Design | Tel 08 6296 9749 | GKD Australasia is the Australian & New Zealand Distributor of GKD Worldwide Metal Fabrics.